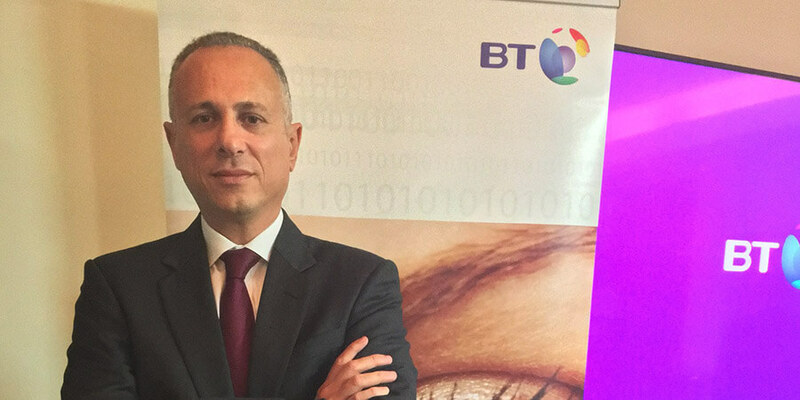 BT has announced the appointment of Eyad Shihabi as its vice president for the Middle East and North Africa region. An accomplished technology-sector leader, Shihabi will help BT drive its digital transformation agenda in business and public sectors across the region. Speaking at a media roundtable in Dubai to introduce the new regional manager, Kevin Taylor, president, Asia Pacific, Middle East and Africa, BT, said he is "delighted to welcome Eyad to our regional leadership team to lead BT in this very dynamic region. Eyad has a wealth of experience in the region and beyond to help guide and steer our customers on their digital transformation journeys." Eyad Shihabi joins BT from HPE, where he was responsible for regional operations. A seasoned enterprise technology professional, he has more than two decades of global leadership and management experience across the technology industry and beyond. "BT enjoys an enviable position on the local market, serving some of the best known names not only locally, but globally. With the great team in place, I look forward to build further on that position and help existing and new customers address their various needs ranging from global connectivity to deployment of latest collaboration tools, as well as migration to the cloud and digital transformation", Shihabi said. An active member across several industry bodies and organizations, Eyad has served as Vice Chairman on the business and technology committee of Airport Council International (ACI) World’s North America chapter. Eyad holds a graduate degree in Computer Engineering from California State University, Long Beach, and a Master of Business Administration from National University in San Diego, California.